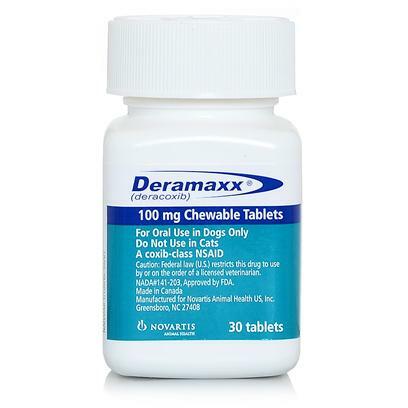 Deramaxx is an anti-inflammatory and pain reliever for dogs that veterinarians prescribe for dogs suffering from canine osteoarthritis. Its beef flavor makes it easy to administer. Rated 5 out of 5 by 70 reviewers. Expensive, but definitely makes a difference. I thought we were at the end... Boy, was I wrong! Good to use along with pain meds. This product has been very helpful in allowing our dog to have more freedom in movement. My twelve year old is a pup again!!!!!!!! He's become a puppy again! She can enjoy life again!